HTC has been one of the more profound vigilant figures in the mobile industry that always has a knack in producing quality smartphones. When it comes to the Android landscape, they were there right from the beginning showing their commitment in tastefully complementing Google’s mobile platform with something as equally compelling on the hardware side. 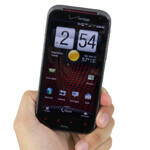 With memorable devices like the T-Mobile G1, Nexus One, and HTC EVO 4G under its belt, all eyes are on them to see what they can do to continue that trend in the face of never-ending competition. 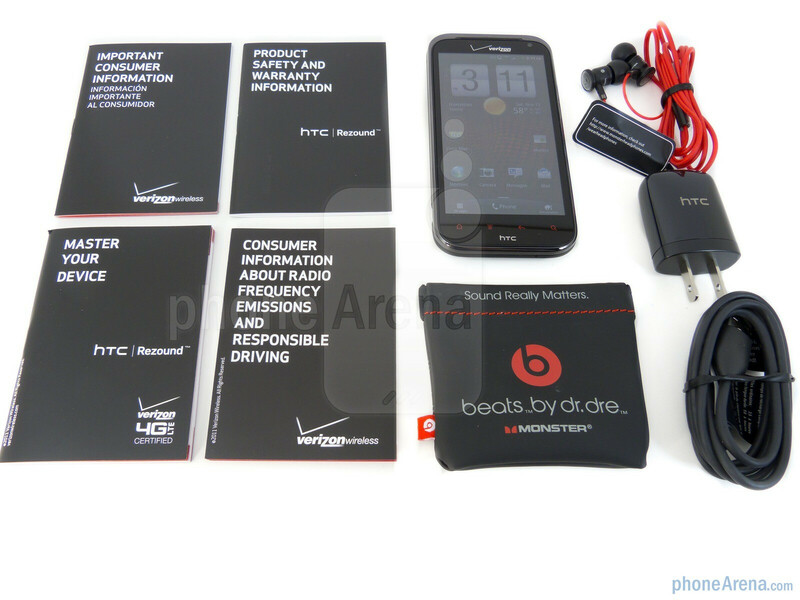 Out of all the carriers out there, most people can wholeheartedly agree that Verizon has gotten its fair share of top-notch HTC smartphones – like the HTC Droid Incredible and HTC ThunderBolt. 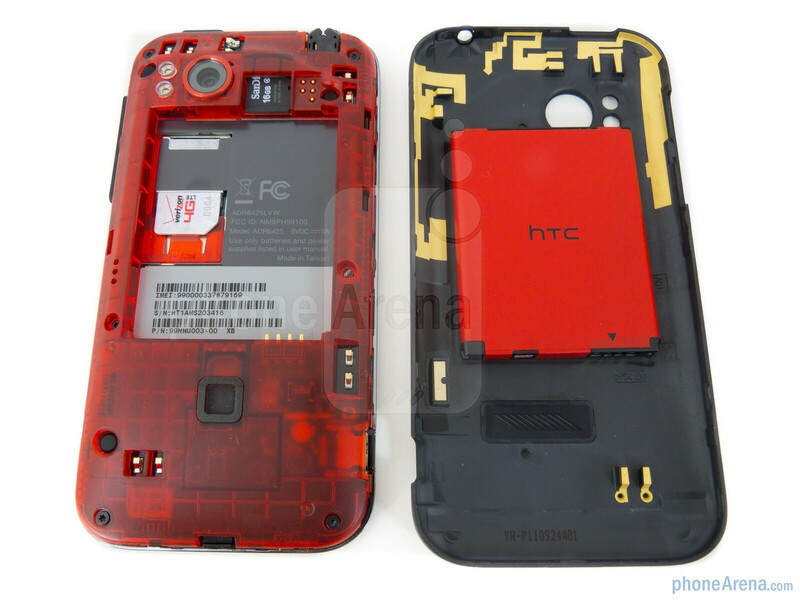 However, we can most certainly say that the HTC EVO 4G is still the benchmark device that HTC lives by to this day – mainly because it brought along a lot of ‘firsts’ that haven’t been seen before during its time. For all of us out there salivating for the next big thing, Big Red is being blessed with something so deliciously high spec’d on paper that it begs for some warranted recognition. HTC helped Verizon launch itself into the 4G LTE era with the ThunderBolt, a device widely panned as being a fitting candidate, but besides its 4G LTE support, it wasn’t all that cutting-edge. Continuing the trend of packing some ‘firsts’, mainly because it’s the first handset to release on US soil with a 720p display and Beats Audio support, the HTC Rezound is gunning to make its presence widely known as being HTC’s second-generation 4G LTE device. Unlike the underpowered ThunderBolt, the Rezound is outfitted with only the best of the best in order to survive the volatile high-end market, but it’ll need to make some glaring noise if it wants to take the thunder out of the recently launched Motorola DROID RAZR. When you really want to stand out from the crowd, you should opt for a design that’s dramatically different. 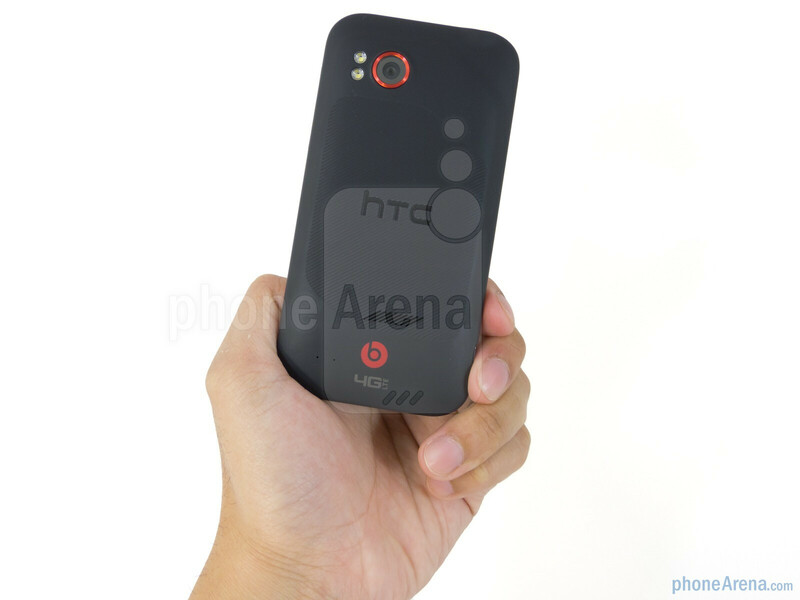 Well, that’s not the case with the HTC Rezound, as it clearly has its ties to the HTC Droid Incredible 2 – thus, lacking that crucial differentiating appeal to reel us in. Yes, it’s still one solid feeling handset, though it’s not quite on the same level as some of HTC’s uni-body designed handsets. Featuring a gunmetal like bezel, rounded corners, and its distinctive soft touch tiered back cover, we’re able to gently grasp the handset with no problems at all – and it helps that it doesn’t attract much dirt or debris! 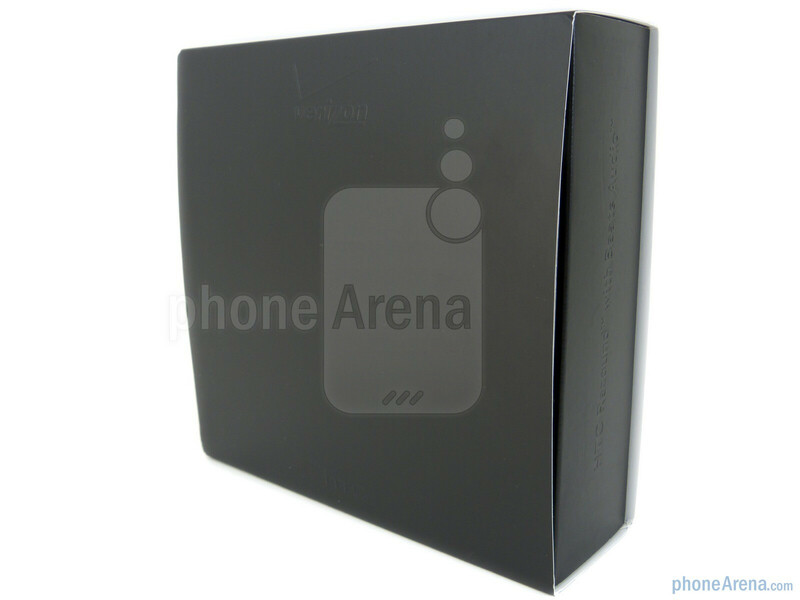 Even though the handset appears to be primarily constructed out of plastic, it still packs a noticeable amount of weight. 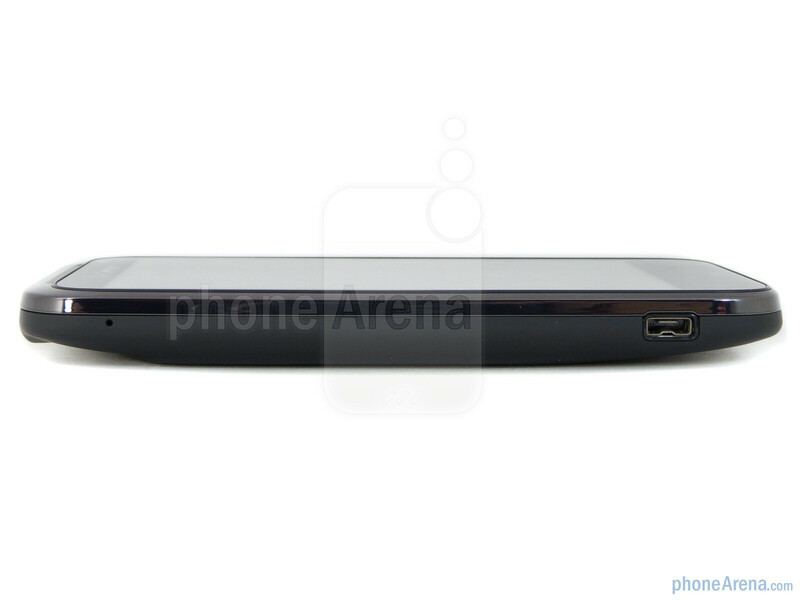 With a 0.54” (13.7mm) waistline, it is almost twice the thickness of the slim body of the DROID RAZR. Above all, there’s nothing extravagant with its all too generic design style, and in the end, it doesn’t deliver something that should complement its underlying aura. 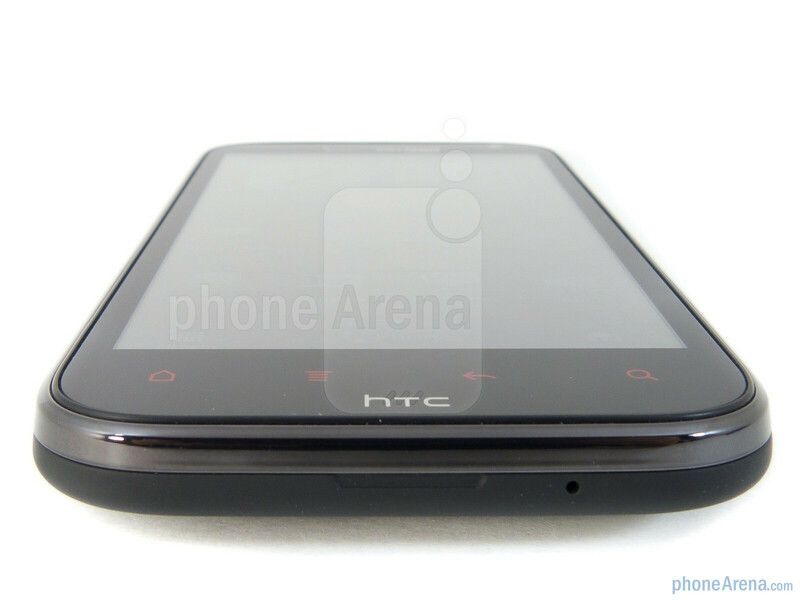 You can compare the HTC Rezound with many other phones using our Size Visualization Tool. We’ve been teased by it for many months now, but a 720p display is finally for real with a handset – and the HTC Rezound is the first one to market with it in the States! The 720x1280 pixel resolution is an incremental leap forward, following after other popular resolutions like WVGA 480x800 and qHD 540x960. 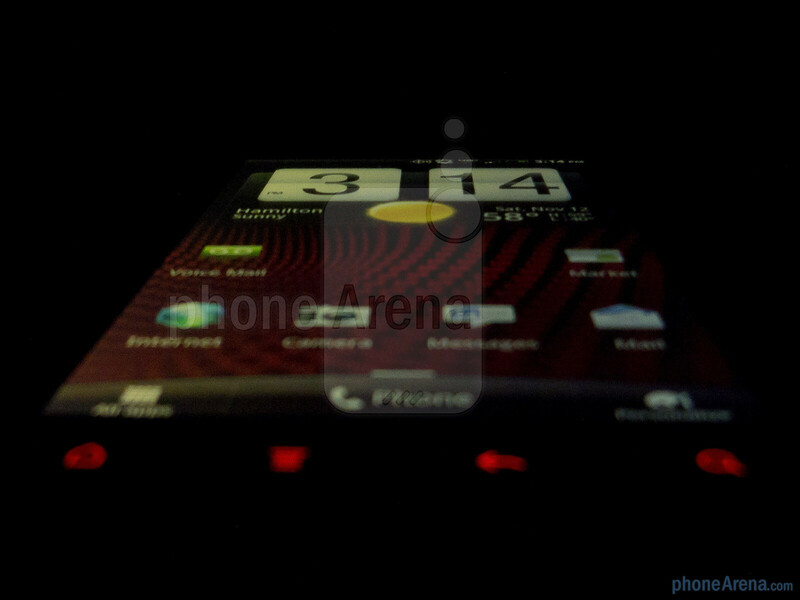 When you do the calculation, the Rezound’s 4.3” display is the most detailed out there with pixel density of 341 ppi. 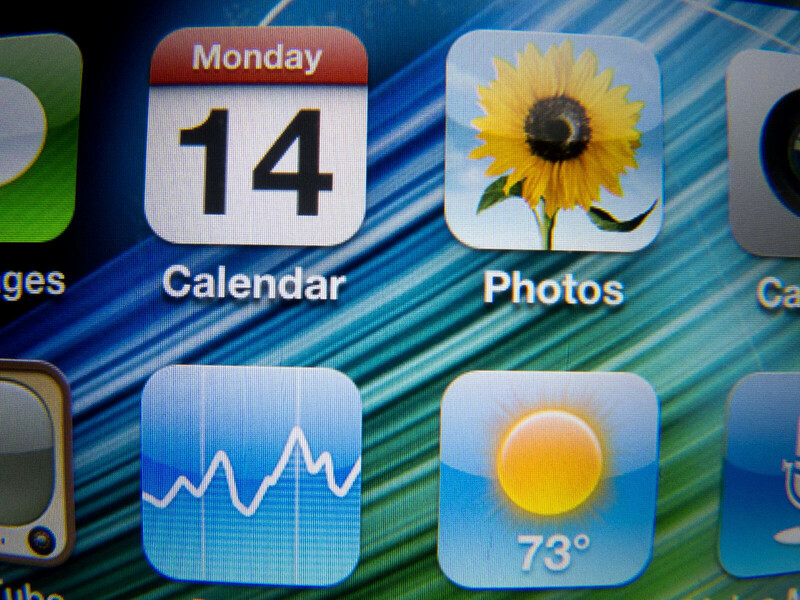 In contrast, the iPhone 4S Retina display boasts a pixel density of 326 ppi – so finally, the Rezound is the first phone to beat it in this aspect. Even though we’re convinced on paper at how it’s superior in resolution, it’s ultimately our eyes that are going to concretely confirm those allegations. The visual detail is most profoundly evident when we look at the display up close and personal– or when looking at tiny details, like text when we’re in a zoomed out view in the web browser. At that point, yes, we behold the majestic detail that the 720p display has to offer – making even the faintest of lines and curves pop with plenty of clarity. As you can see in the photos, detail is so much better than a standard screen, which results in beautifully looking icons, menu details and so on. Nevertheless, its Super LCD (S-LCD) panel continues to deliver the characteristic traits that the display type is known to exhibit – like some deep and vibrant color tones. However, it does suffer from poor viewing angles and outdoor visibility. Spacing themselves away from the bottom edge of the handset, we gladly accept the minimal accidental presses we find when touching its capacitive Android buttons, which sport a deep red glow (reminding of the Beats Audio element). We’ve made it clear that we’re not blown away by the Rezound’s design, but what irks us most about the handset, is that its physical buttons are notoriously difficult to feel out. Both the power button and volume rocker are completely flush – thus, offering very little feel. Additionally, it doesn’t help that their response is subtle to the touch. Above the display, we’re presented with the typical narrow looking earpiece that has been the staple of nearly all HTC smartphones of late – plus, the handset’s front-facing 2-megapixel camera is perched nearby. Much like other recent HTC smartphones, the microUSB port on the HTC Rezound offers video-out functionality, but it requires the use of an optional MHL adapter that you’ll need to supply yourself. Rounding its high-spec’d hardware, the Rezound is packing a sizable 8-megapixel auto-focus camera with dual-LED flash in the rear, which isn’t all that surprising at the very least . Meanwhile, prying off its rear cover grants us access to it 1,620 mAh battery, SIM card slot, microSD slot, and speakerphone grill. Seems like a fair review to me. Thanks. Finally a phone setting a new benchmark in ppi and beating the previous champ the i-phone 4s. Screen is highly detailed. 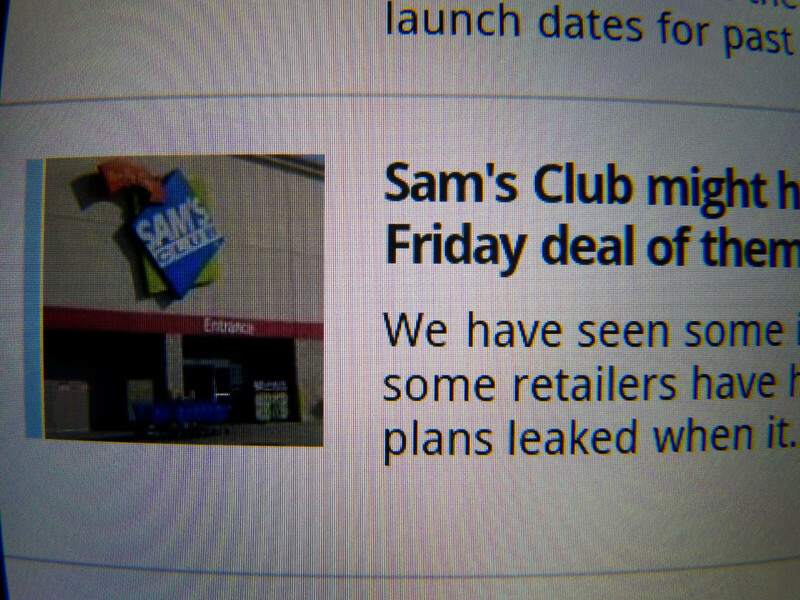 Wish it was a super amoled plus instead of slcd. That would have made it a winner for sure. But considering all the features dont you think it deserved slightly more than 8? But fair review overall. 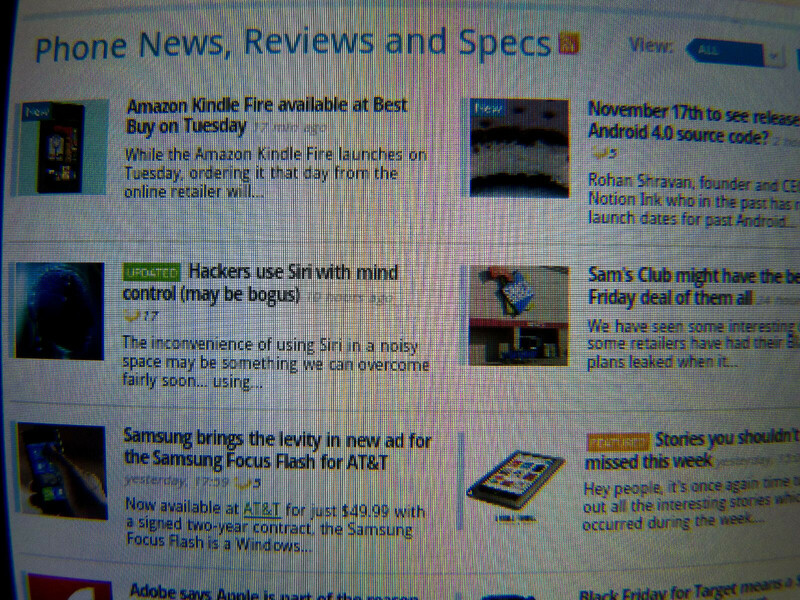 Well, this review (paired with CNET's) clinches it - I'm waiting for the Nexus. Too heavy, too thick, too small battery and just as capable of lag as everyone here expected. Agreed. It would be great to see the Rezound / Nexus / Razr next to each other IRL to make the final call. Of course, that won\'t be an indication of battery life, but I think we can assume the rezound is the weakest of the three there. I'm most curious about the screen comparison. 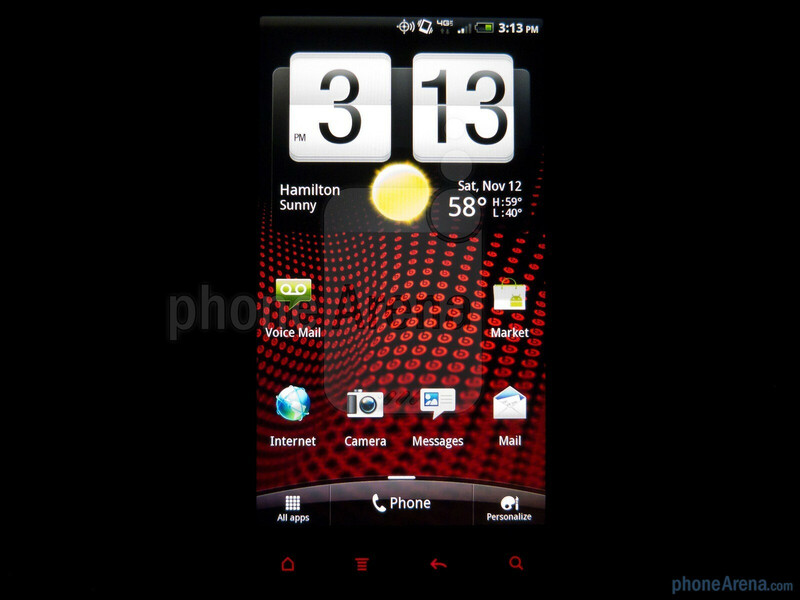 I'm a fan of AMOLED, but what I've seen of HTC's S-LCD screens impressed me. 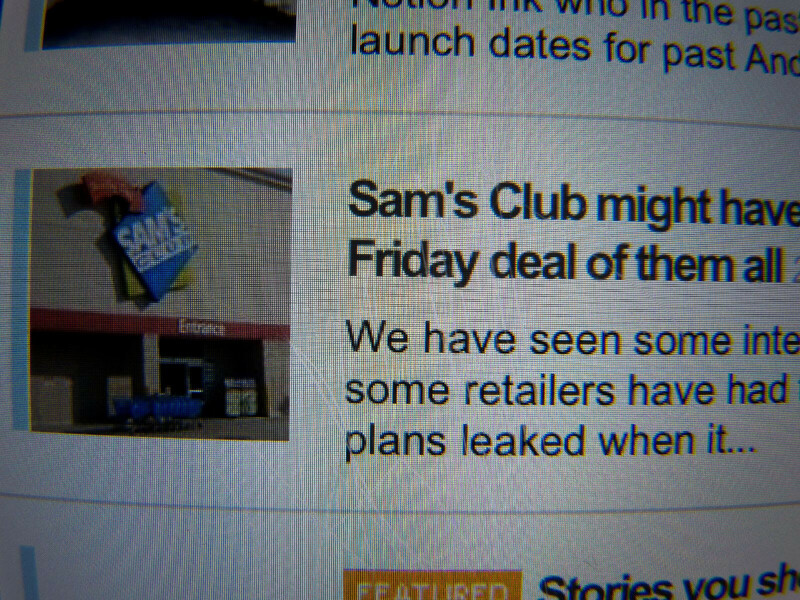 HD SAMOLED or HD S-LCD... you can't lose. 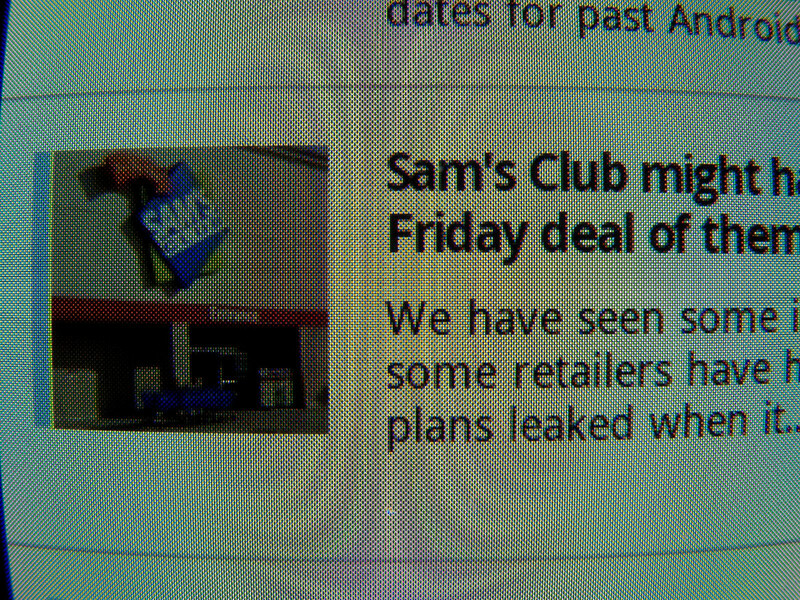 I checked out the screen today. 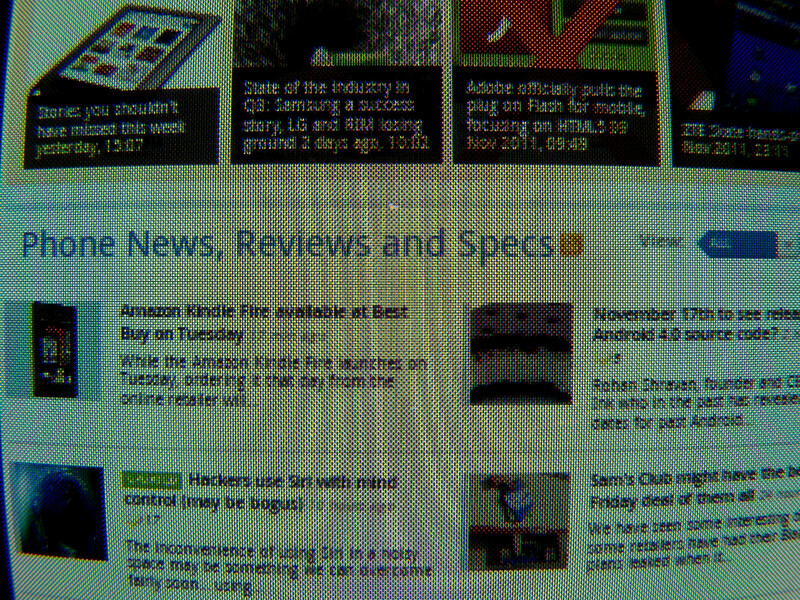 The screen is definitely sharp. However, after glancing at the RAZRs screen, it looked better. 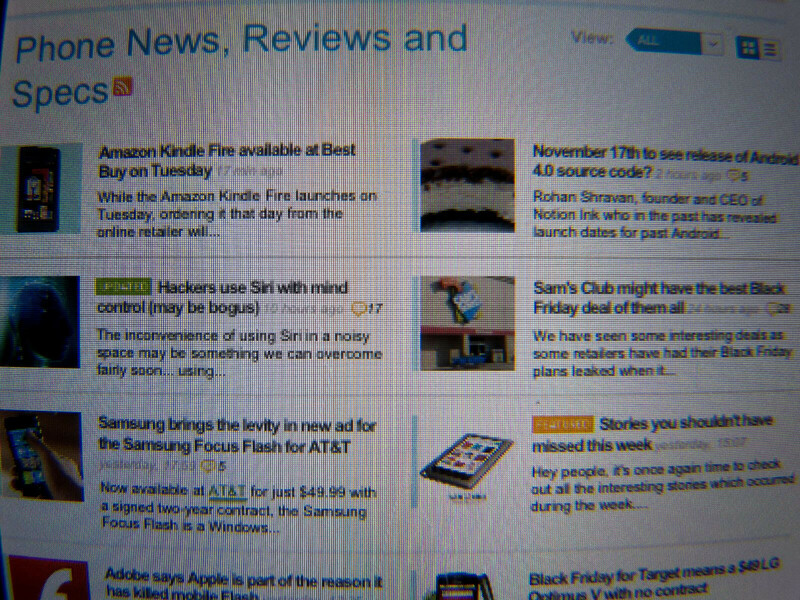 Maybe it was that the brightness on the Rezound was set to medium, but I do recall prefering the RAZRs screen. 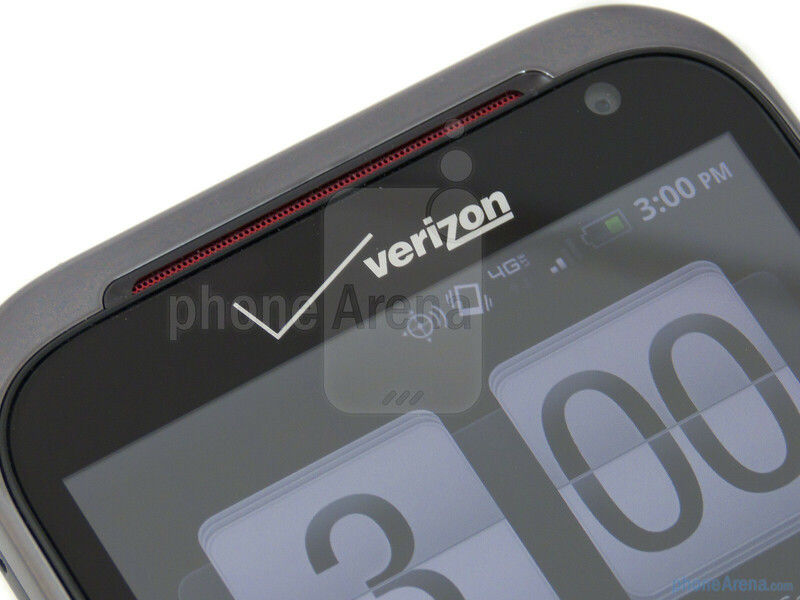 The RAZR looks so much better as well. The Rezound felt outdated. I'm sure this depends on what you're used to. Once you're accustomed to the "pop" of colors on an AMOLED screen, it might be tough to go back to LCD, even when it's as crisp as the Rezound's. you are wrong. 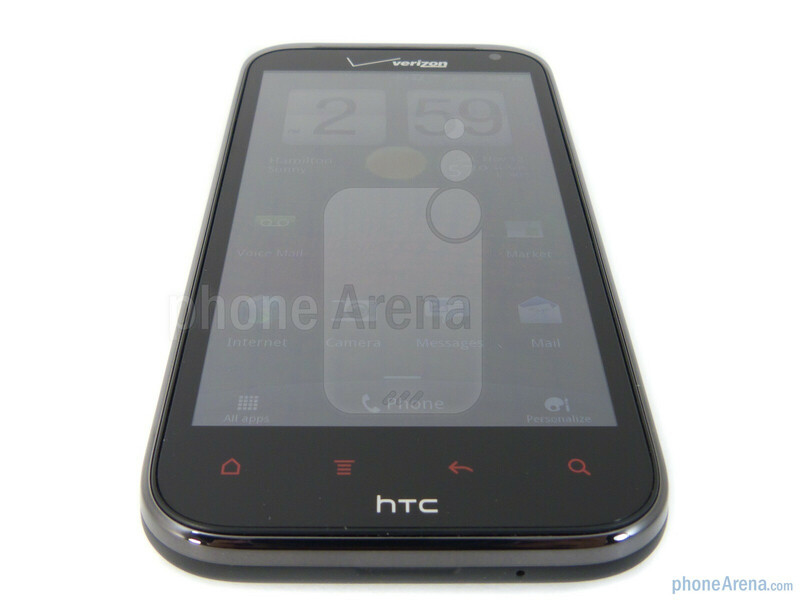 HTC failed to optimize the Software with the CPU with this phone!!!!!!! This phone is actually quite light. The thickness is so minor you will never notice the difference. 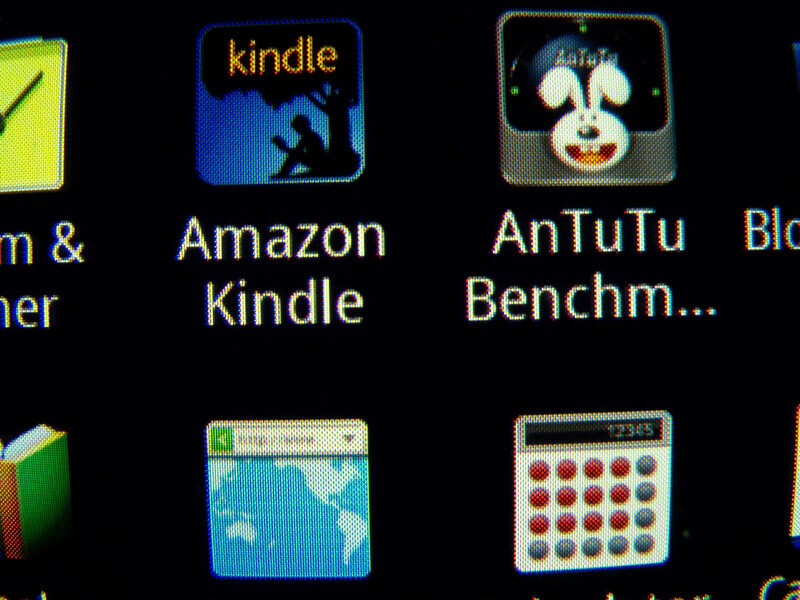 Weight and size are such minor things for a phone when it is increase my only a small amount to produce a better phone. 2 Days of ownership, still zero issues. Lasts much longer than my Thunderbolt, and performs extremely fast. I don't know why people so in to the thickness of a phone. 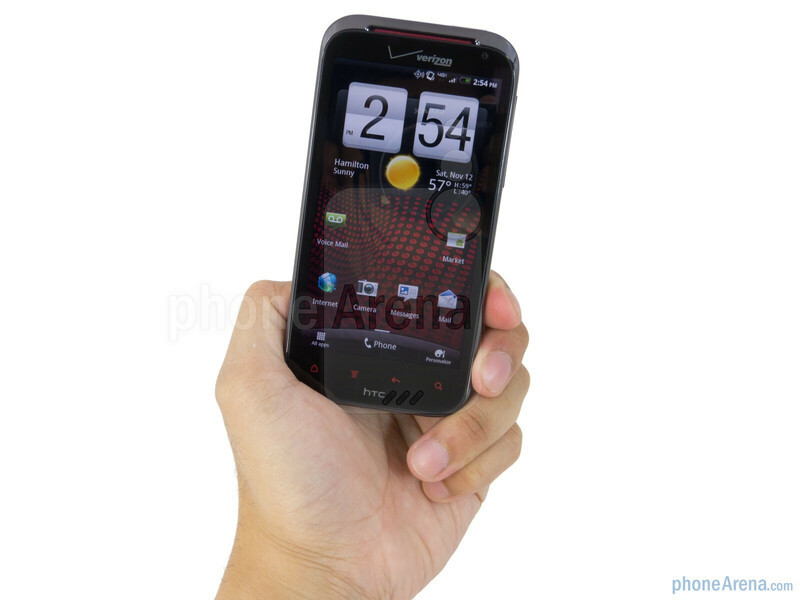 Yes the Razr is thin but you don't have a removable battery. So take your pick. Something in between would be nice though, which is why the SGS2 and Nexus are so attractive. They may not have the same solid feel as the Rezound, but I'll take somewhat plasticky over somewhat heavy. That is reasonable, I on the other hand like a solid feeling headset. I have the Nexus S and was not a fan of the size to weight of it. So I pick something else. As long as you enjoy your phone then there is nothing else that can change people mind. 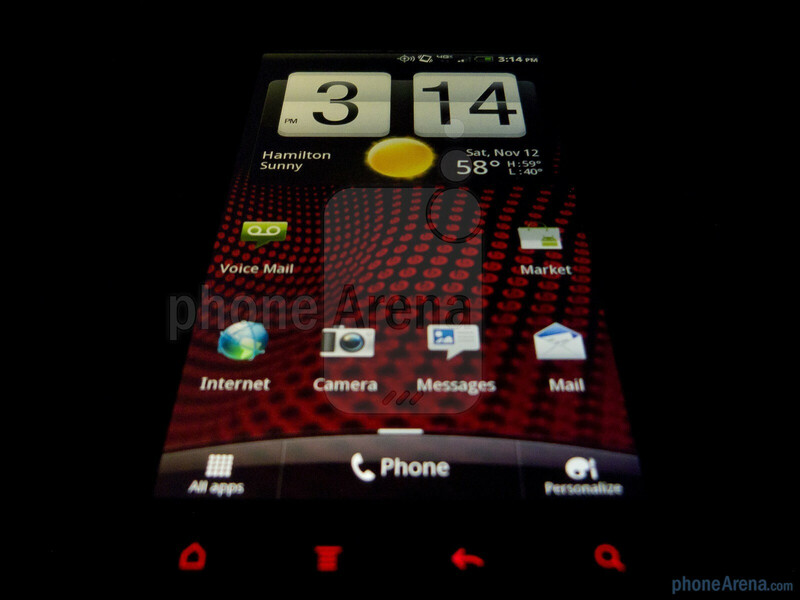 I held the phone last night alongside the Razr, and I take back my comments on the thickness. It's not the thickness that makes or breaks a phone, it's the overall dimensions. 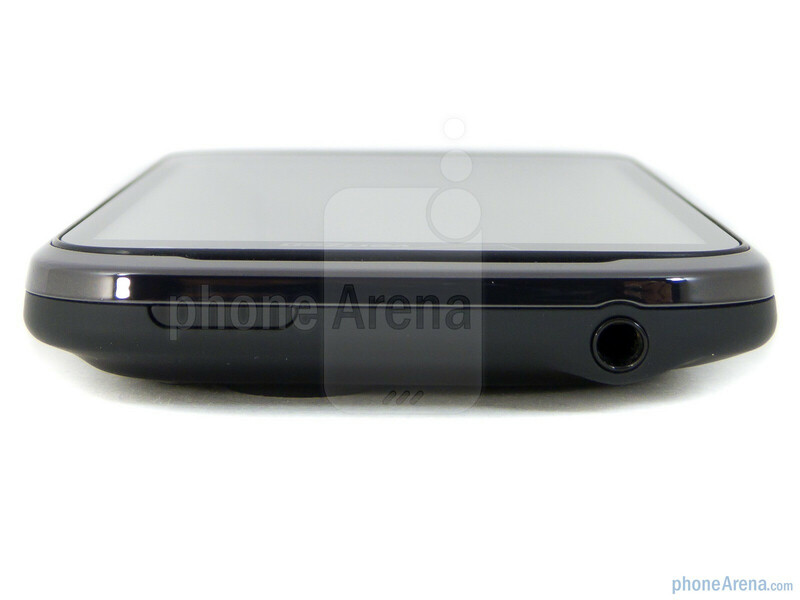 The Rezound actually felt more comfortable in my hands because of its narrower body and contoured back. Can anyone explain me (beware fanboys...it\'s a simple question and I don\'t wanna fight with anyone...I\'m just curious and I want to know why) why living wallpapares are so resources hungry? Even with dual core and 1 gig of ram, turning on wallpapers means goodbye fluid and smoothy operation? In this case it\'s because 720p screen which needs more power or sense or what? It has more to do with the skin of the OS. Sense take a lot of resource. The resolution has some to do with it too. Personally, I would have attributed the sluggishness to the fact that Gingerbread doesn't have native hardware acceleration, and it wouldn't surprise me to find out that HTC didn't find a way t enable it, either. That would have a major impact, as the Adreno chip would be doing absolutely nothing to help process the LWP. But then there's the fact that the SGS2 handles it so nicely. Is the combination of sense+qualcomm really that bad comparitively, or has Samsung been hitting their phones up with Hardware Acceleration? And if the lack of HWA is part of the problem, will ICS solve the issue when it finaly enables that chip to do what it's supposed to? Sense + Qualcomm is really that bad. xD it'll be better after it gets ICS but everything else will still be better. ICS will just bring things to an all new magnitude. 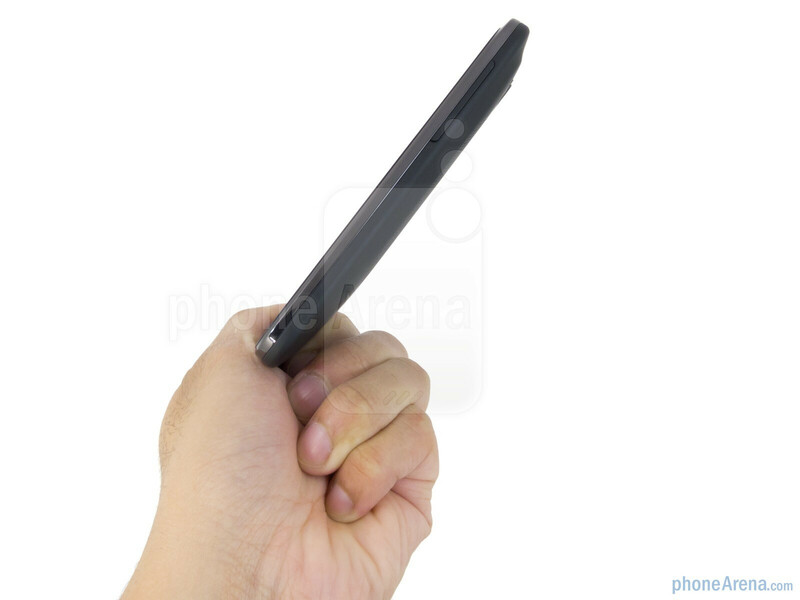 Dear phone Arena: Could you please start mentioning in your reviews whether the reviewed phone has an external notification light on the display and whether it is multi-colored. Thank you. (This is very important to some of us!) Meanwhile, does the Rezound have such a warning light? So...Sense is just a heavy cow. So..HTC will never be so power efficient and fast as \"pure\" android or those phones from samsung with touch wiz (which is less power hungry). Agreed! With Samsung's habit of omitting the LED notification light, it's nice to know if it exists on the phone, and what the capabilities are. I just got my Rezound and it does have a multicolored notification light right near the front facing camera. 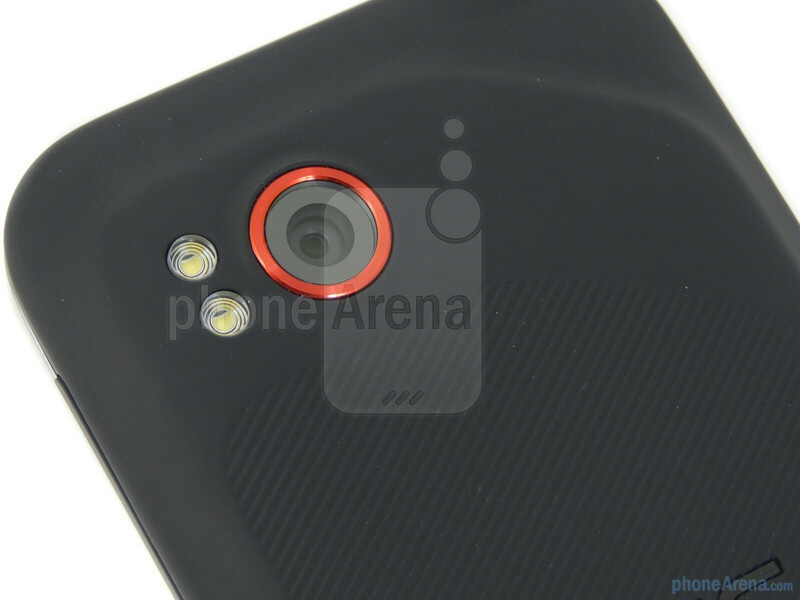 Yup, there's one that lights up green next to the front-facing camera. Hope that helps.